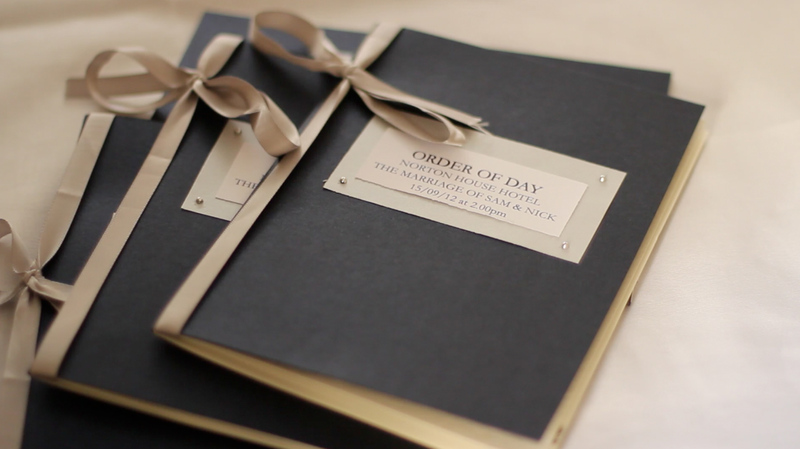 We have three specially designed packages, or why not try out our new interactive bespoke section where you can design your own perfect wedding DVD. Please note that all our packages include a minimum of two camera operators and cameras. This is our basic package that includes everything you need from the moment you arrive at your ceremony venue, to the evening entertainment, all filmed with 2 camera operators. Everything you need, plus a little extra. This includes some of our most popular extra features; the diary room, the bridal preparations and the photobook. This is the full feature film version that includes a pre-wedding shoot, the process of finding your perfect dress, the making of the cake, and the full story of your wedding. Please note this is often split over two discs.